Quick overview Louis de Bernieres is one of our most treasured writers and these stories show his imaginative range and unique storytelling power. De Bernieres' unlikely and unforgettable heroes are found collecting luxury tinned cat-food labels, posting fish to the President, falling in love with dolphin deities and dining with Brazilian street thieves. Louis de Bernieres is one of our most treasured writers and these stories show his imaginative range and unique storytelling power. The collection includes 'Gunter Weber's Confession' which revisits characters from Captain Corelli. 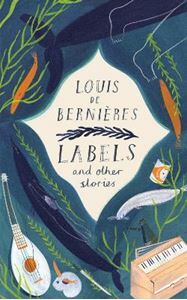 Full of wit, warmth and charm, Louis de Bernieres' Labels and Other Stories features tales from throughout his career as a masterful storyteller and transports us around the globe, from the London Underground to Turkish ruins to the banks of the Amazon. De Bernieres' unlikely and unforgettable heroes are found collecting luxury tinned cat-food labels, posting fish to the President, falling in love with dolphin deities and dining with Brazilian street thieves. And in `Gunter Weber's Confession', we return once more to the Greek island of Captain Corelli's Mandolin and its much-loved characters. In this worldly and entertaining collection of stories, we are equally enchanted by familiar and fantastical occurrences, by de Bernieres' wry sense of humour and powerful imagination.